A native of the Dominican Republic, internationally renowned jazz/latin/classical pianist and composer Michel Camilo thrives by expanding musical horizons. 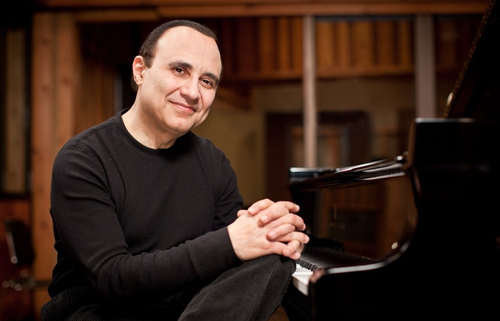 Moving effortlessly from jazz piano to orchestral compositions, from award-winning film scoring to classical conducting, Michel has performed worldwide at venues including Royal Albert Hall, the White House, the Kennedy Center and Carnegie Hall. With guitarist Tomatito, Michel won Best Latin Jazz Album in the first-ever Latin Grammy® Awards, and has subsequently received numerous Grammy® awards and nominations, an Emmy® award, and countless other accolades. He performs regularly with the leading Latin jazz artists of our time, but is also highly respected for his classical composing and appearances with leading orchestras throughout the world. His playing–fiery and contemporary at times, pensive and introspective at others–is always intense, carefully woven, and emotional.